Is it better to raise your startup’s seed round from only angel investors, or is it better to include a VC or two? Several founders on the precipice of launching their seed fundraising processes have asked me this question. It’s a very difficult one to answer hypothetically because there are many different variables to balance. For example, VCs may invest larger sums than angel investors. The imprimatur of a VC’s investment in a company might help convince potential customers and recruits. But some might argue their money brings potential signaling risk. So I’ve tried to answer the complex question using Crunchbase data from 2009 to today. Below, I compare and contrast the fundraising histories of about 3700 startups that have raised seeds. About 1⁄3 of these startups raised exclusively from “angels.” I’m using the word angels broadly; it includes individual investors, incubators and accelerators. The other 2/3s raised from a combination of sources but include at least one VC. The typical seed round with VCs has 1.6 VCs involved. I’ve filtered the data to look only at VCs who have invested in at least 50 companies during the past 5 years to ensure we’re only looking at truly active market participants. Startups with at least one VC in their seed round raise Series As 64% more often than do angel-backed startups. I can’t prove causation, i.e., that having a VC involved is the cause of this increase because of the limitations of the data. But I believe the next observation sheds some light onto this trend. VC-backed seed rounds are 23% larger on average, which is statistically significant to greater than 99% confidence. This makes sense. VCs typically invest from larger funds and are more willing to invest more dollars in seed rounds. And, we’ve previously shown that larger seed rounds correlate to higehr follow on rates for Series As. A longer runway enables startups to experiment more, and ideally become larger, more attractive investments for Series A investors. Curiously, there is no statistically significant difference in the size of Series A rounds between the two categories of startups. Successful angel-seeded companies raise just as much money as VC-seeded companies. In other words, a great entrepreneur can come from anywhere. To further prove the point, I’ve charted the distributions of Series As below. Angel seeds are in blue and VC seeds are in red. They are, in fact, identical. Now to dig into the signaling risk question. The table below contrasts the financing histories of VC-backed seeds as a whole with the 351 companies in the data set who raised their Series A from a VC participating in their seed. Insider VCs lead Series As in about 26% of their seeds. The remaining 28% of seed-financed startups who raised As accepted terms from new investors. In other words, an equal amount of startups raise Series As from VC insiders as outsiders. Startups who raise Series As from outsider VCs fare just as well as those who raise from an insider VC. 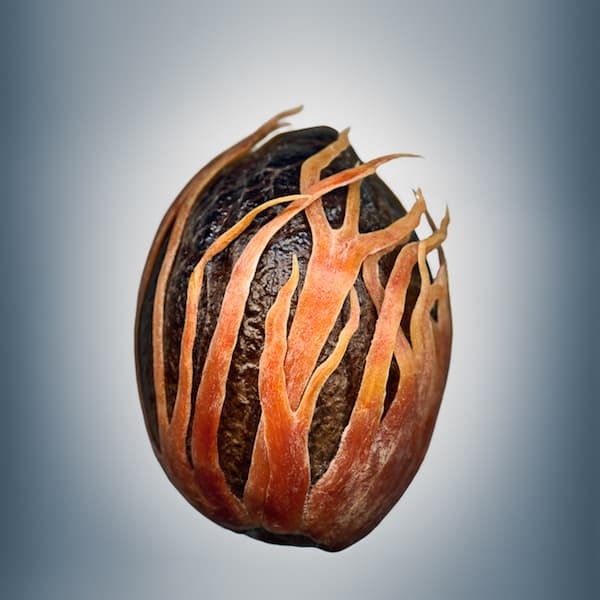 Round sizes are nearly identical, both in the seed and A, mean and median. Furthere, there’s no statistically signficant difference across any of the metrics. In other words, the presence of a VC investor in the seed round doesn’t seem to impact a startup’s ability to raise a Series A at market terms. 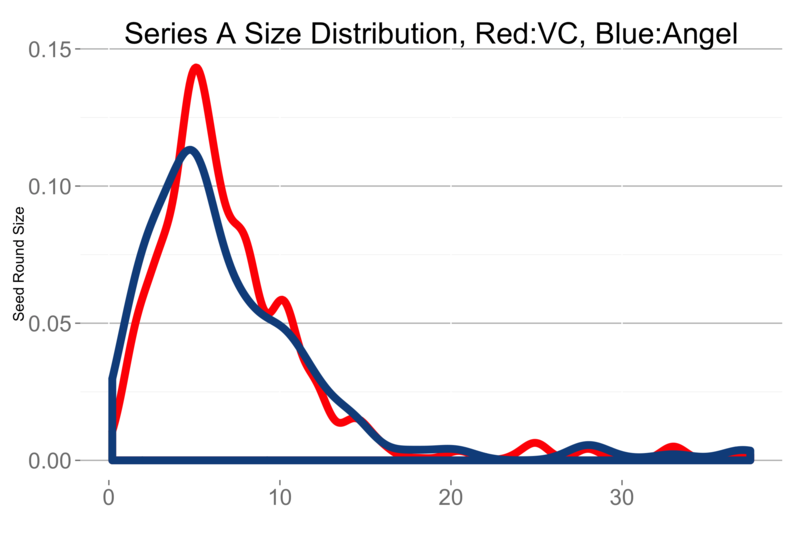 Raising larger seed rounds improve the odds that a startup will be able to raise a series A. It’s easier to raise larger rounds from VCs than angels simply because of fund size differences, but the source of the capital, whether angel, incubator or early stage VC doesn’t meaningfully impact a startup’s ability to raise a Series A at a market price. Nor does raising a Series A from a VC insider.